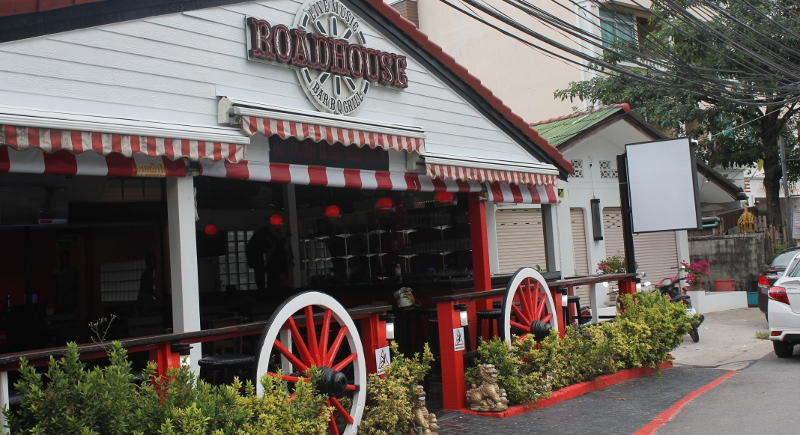 The grand opening of Roadhouse Bar and Grill took place last Tuesday (July 7) in Karon and The Phuket News went down to find out more about what the new bar and restaurant has to offer. UK expat Andi James has been living in Thailand for a few years and wanted to open up something a little different so that it’s special for people to come hang out and enjoy. Andi had been back and fourth to Thailand for a number of years and he even admits that opening up a bar wasn’t in his plans. However after a few of years of travelling around Asia, and Thailand in particular, the opportunity to open up a bar arose. The opening on July 7 was indeed a huge success, and although Andi was modest about the number of people expected to arrive, the bar filled up quickly with guests eager to be involved in the opening. The night featured a delicious selection of grilled foods, including chicken satay, pork sausage, calamari and more, a live DJ pumping out popular house beats, followed by a local band. 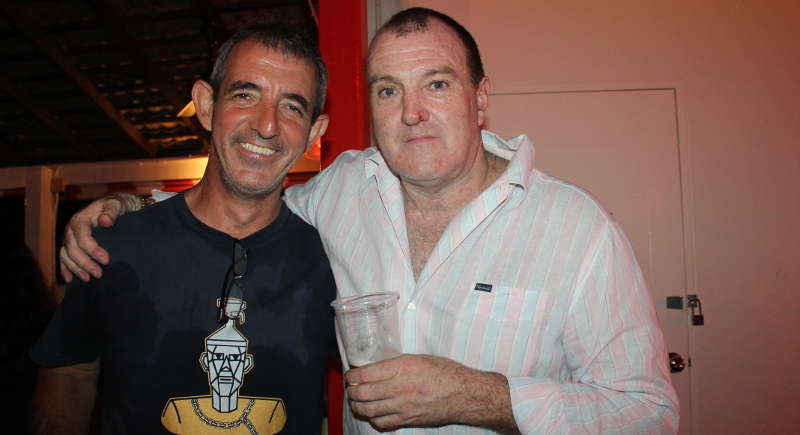 “We hope to have the band playing on Friday, Saturday, Sunday and Monday nights. In addition, something people can expect and look forward to are the cocktails made from fresh local ingredients. From fresh daiquiris, to fresh margaritas, Andi says the key will be to give people something special. “We hope to have a talented mixologist from Bangkok who is due to work with us. Think: flavoured spirits and a refreshing creative menu. 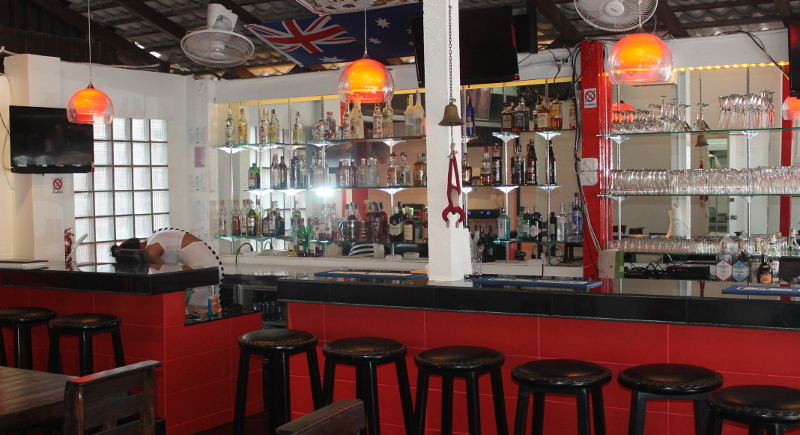 Andi and his team have certainly thought of a few creative ways to make the bar unique, something the people of Phuket can be enthusiastic about. With regards to the menu, Andi said it will be a selection of grills (think: steak, pork belly, ribs); bar food; and a menu in general that compliments the drinks. Overall, the number of people who showed up to support Andi and his bar were a testament to the effort and work put in to launching it. One thing that was very evident was that Andi opened this bar up for pleasure, he hopes people can relax and enjoy themselves there with the dazzling selection of tasty drinks and food that will be on offer.